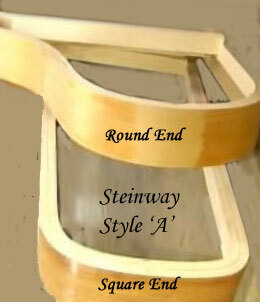 ST-6'-1-1/2-R" - Style A (Round End- See Graphic Below), 6' 1-1/2" - $151.00- We will require a photo of the piano. 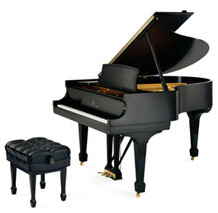 ST-6'-1-1/2-S" - Style A (Square End - See Graphic Below), 6' 1-1/2" - $151.00 - We will require a photo of the piano. 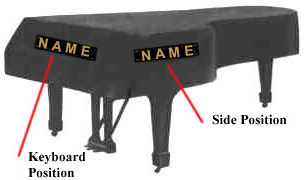 For Steinway 6'1-1/2" pianos we will request via email a photo of the tail of the piano prior to order processing. I bought the black Macintosh, to be honest, with low expectations. I was very pleasantly surprised. The cover is excellent quality. The fabric is sturdy and the backing is soft. I have a blanket under it because I have cats and need to protect the piano from scratches when they jump on it. It fit perfectly over the blanket. Delivery was vey quick. Would definitely buy from this company again. We have a beautiful Model B Steinway in our sanctuary. Itâ€™s appraisal is over $80K. I ordered a black quilted cover with side slits. I was told it would take up to 2 weeks to make a ship. We received it in a week and I was able to track it on UPS. I am very pleased with this cover. The piano is very beautiful as it sits on dais at the front of the sanctuary; and this cover complements it.